2 Bdrm Top flr Flat. Hall. Lounge. Kitch. 2 Bdrms. Bathrm (CT band - B). Garden. Fixed price £85,995 Entry by arr. Viewing contact solicitors. Below Home Report Valuation (EPC band - D). Situated in a most convenient location, within easy commuting distance of the city centre as well as the business centres across the north of the city, and having an excellent range of amenities on its doorstep including shops and recreational activities, we are delighted to offer for sale this two bedroomed flat which occupies part of the top floor of a traditional granite building. Internally, the flat is of good proportions and comprises a welcoming entrance hall which leads onto the bright lounge with lovely views and continues through to the fitted kitchen. 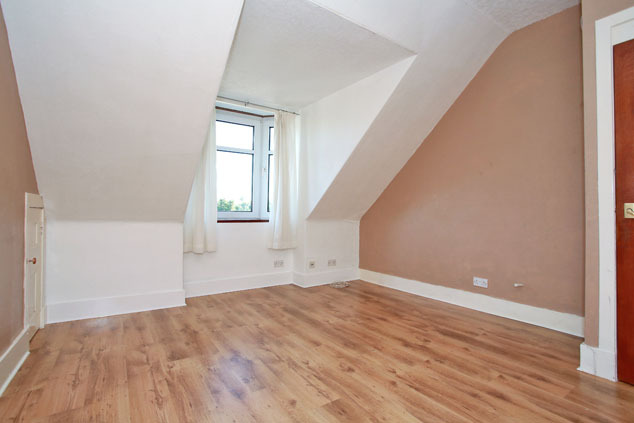 Overlooking the rear is a generous double bedroom with excellent fitted storage and finally, there is a further bedroom and centrally set bathroom. Outside, there is a communal garden which is very low maintenance and the flat enjoys the exclusive use of a cellar. 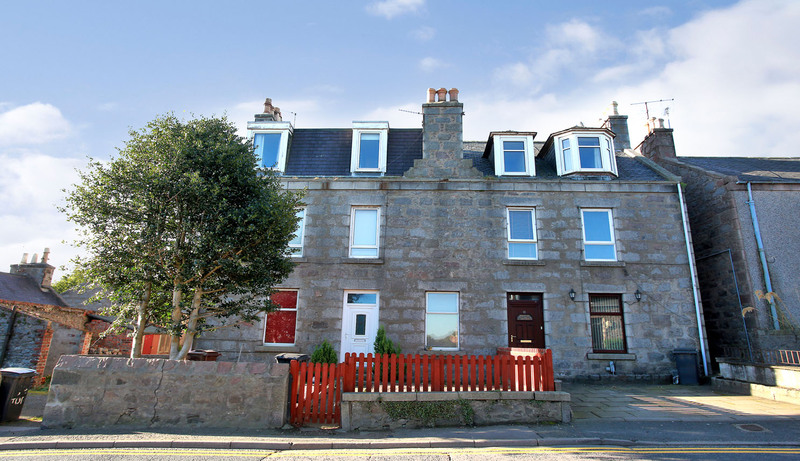 This property will undoubtedly be of appeal to first time buyers and buy to let investors therefore early viewing is genuinely recommended to appreciate the good dimensions and convenient location on offer. Communal Hall Entered via a uPVC door the communal hallways are neat and tidy with a velux window providing natural light. A staircase rises to the top floor and there is access to the communal loft space. Entrance Hall A natural wood door leads into the entrance hall which boasts simple neutral décor with stylish laminate flooring. A high level unit conceals the fuse box and electric meter. Smoke alarm. Lounge 13’9” x 11’10” [4.21m x 3.63m] approx. A dormer bay window affords the room with lots of natural light and frames a pleasant view over the surrounding countryside. 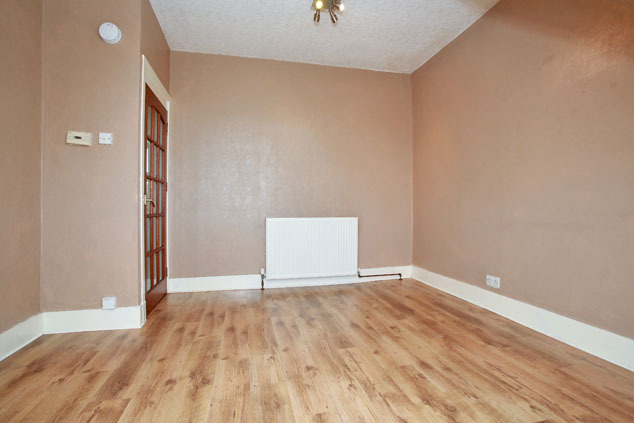 The décor is in complementing neutral tones with laminate flooring and there is ample space for soft furnishings. A small cupboard houses the gas meter. TV point. Telephone point. Smoke alarm. Kitchen 9’9” x 7’3” [2.99m x 2.23m] approx. Overlooking the rear is the fitted kitchen with a good range of base and wall units incorporating glass fronted cabinets and display shelving, edged with splashback tiling and topped with a roll top work surface with Asterite sink, mixer tap and drainer. The integrated appliances include an electric hob with concealed extractor above and oven with grill function. 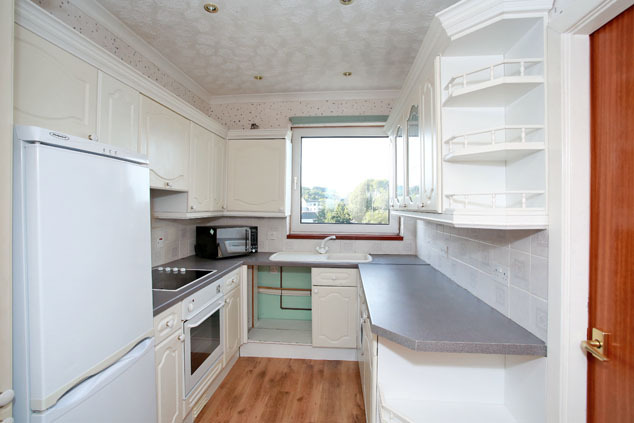 The free standing fridge/freezer and washing will also remain. Heat detector. Bedroom 1 9’11” x 9’1” [3.04m x 2.79m] approx. 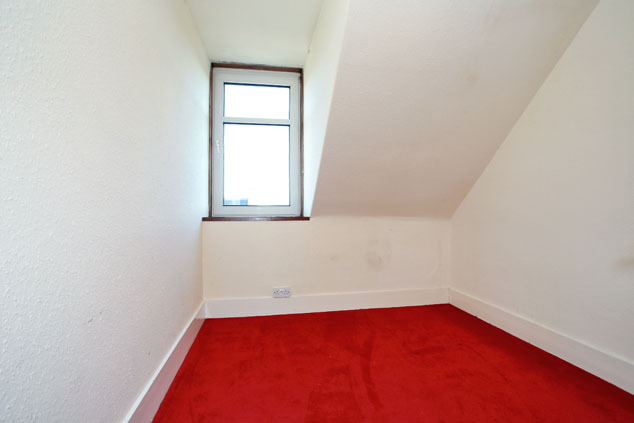 Enjoying a peaceful rear aspect, this good sized double room is bright and airy with fresh décor and rich red carpeting. 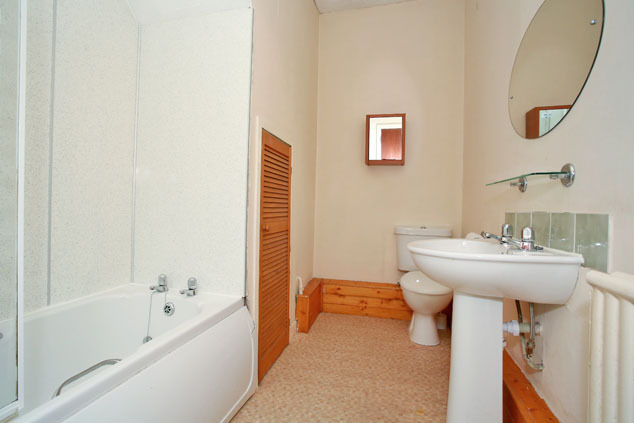 Excellent fitted storage is provided by an over bed bridge unit and the co-ordinating dressing table will remain. Telephone point. Bedroom 2 9’4” x 7’10” [2.86m x 2.41m] approx. 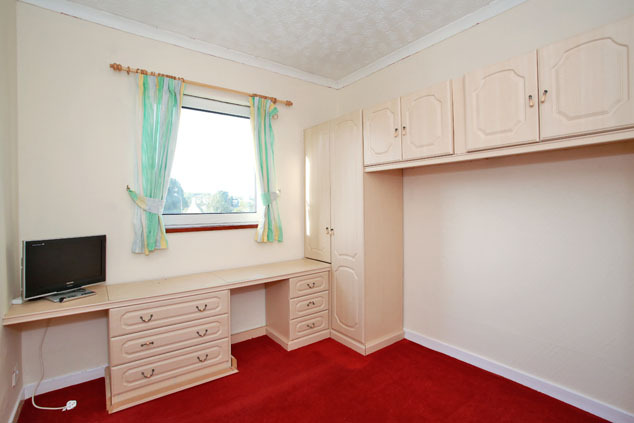 The second bedroom is a smaller double with space for furniture. The décor is simply neutral with warm carpeting and a window to the front frames a far reaching outlook. Bathroom 10’0” x 6’2” [3.06m x 1.90] approx. Centrally set, the bathroom comprises a three piece suite which includes a w.c., pedestal wash hand basin and bath with electric Triton shower above and glass screen. Finishing touches include extensive aqua panelling, wall mounted mirror and cupboard housing the hot water tank and providing storage. Outside To the rear, the property enjoys the shared use of a large communal drying green and there is access to an exclusive cellar which is ideal for storage. Notes Gas central heating. Double glazing. EPC=D. The subjects will be sold inclusive of all fitted floor coverings, light fittings, curtains and blinds along with the integrated appliances and free standing white goods. The date of entry is material and offers subject to survey, subject to finance or subject to the sale of the purchaser's own property will not be considered.